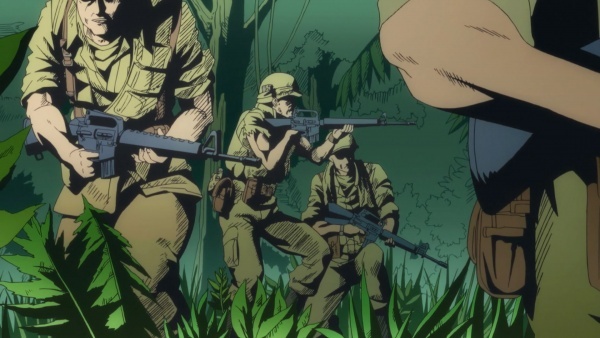 A British SAS soldier holding a M4A1 by one hand. 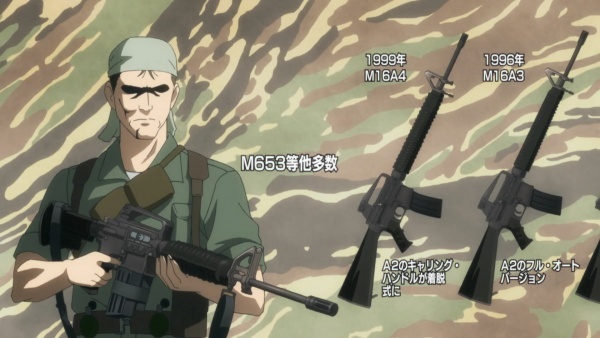 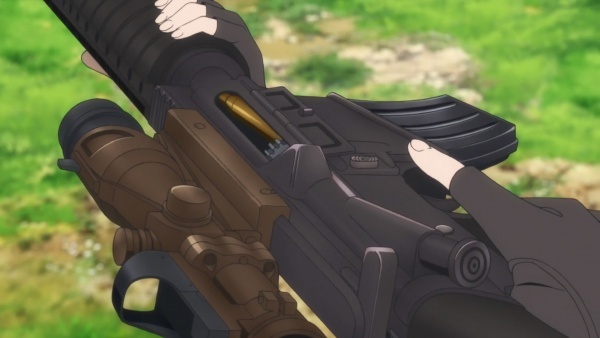 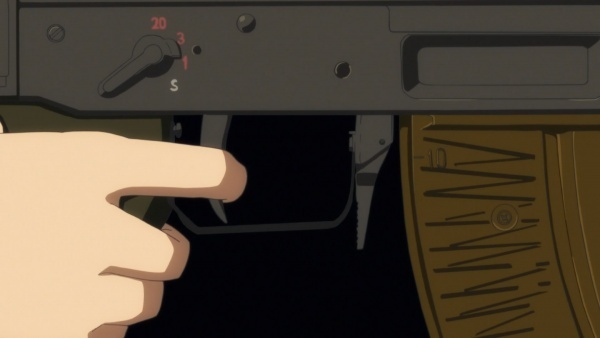 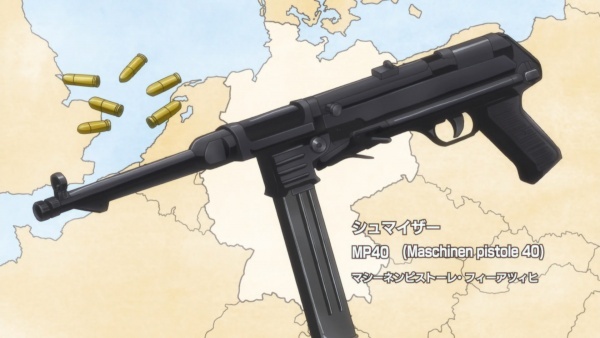 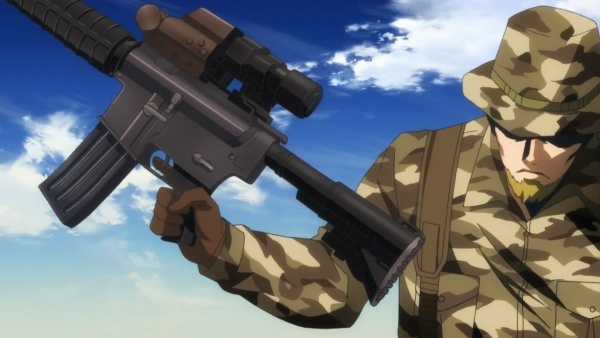 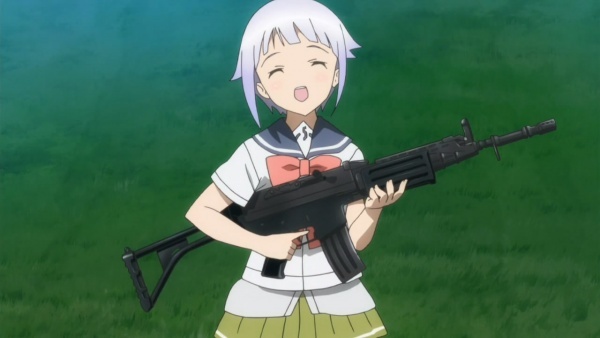 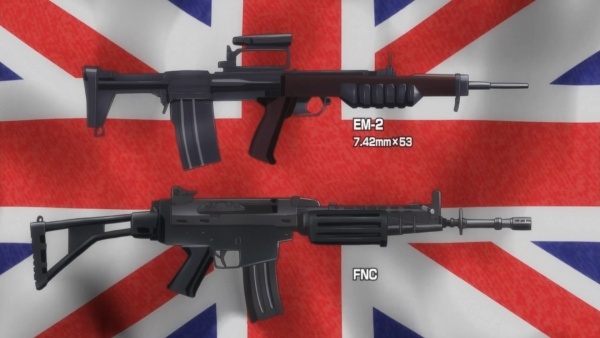 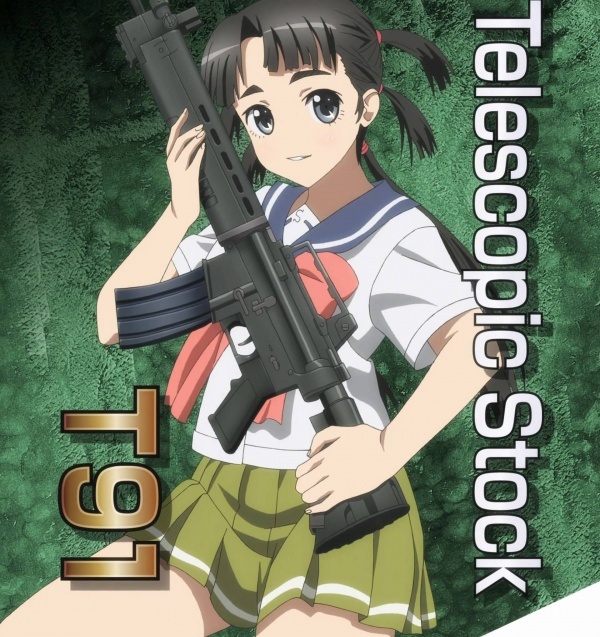 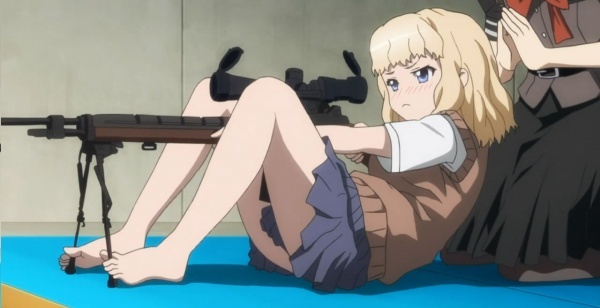 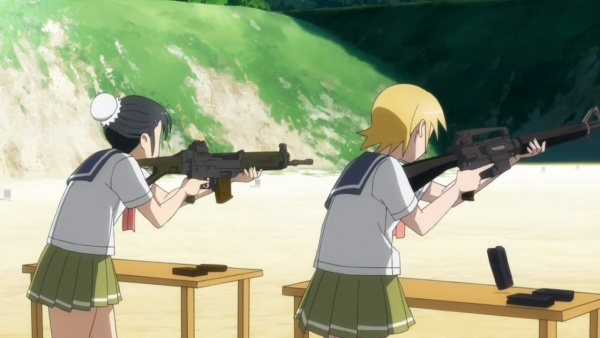 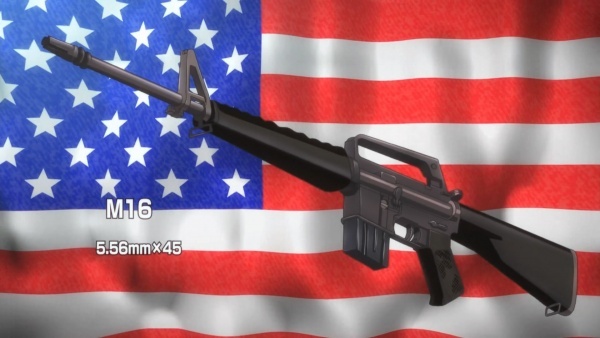 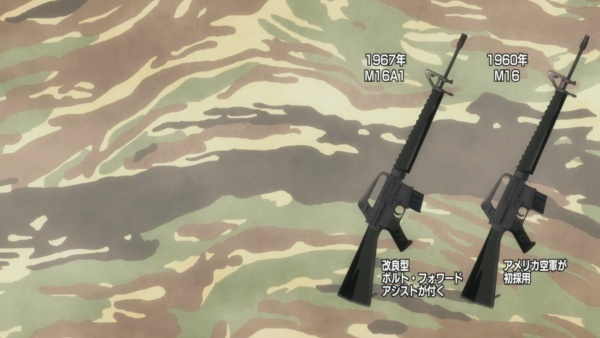 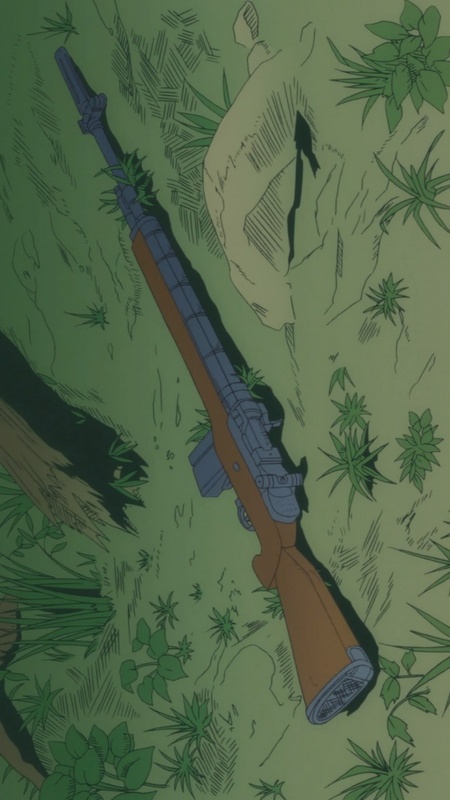 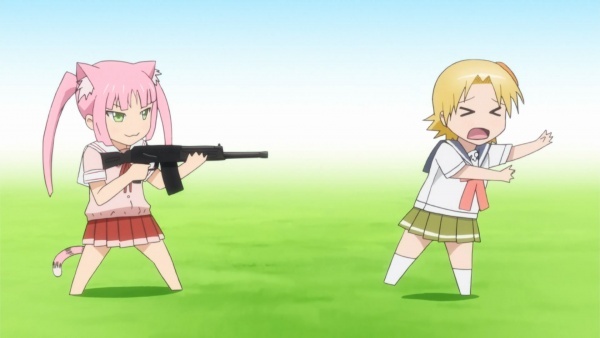 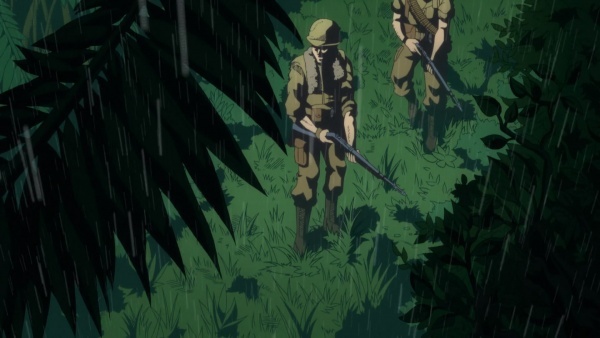 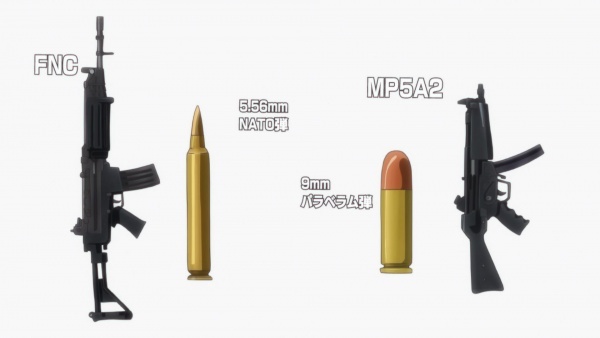 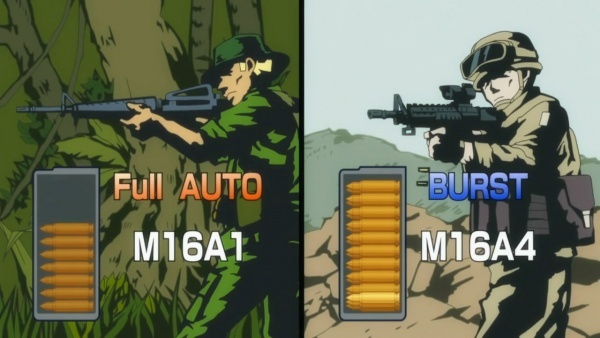 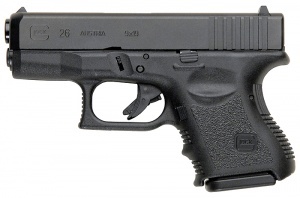 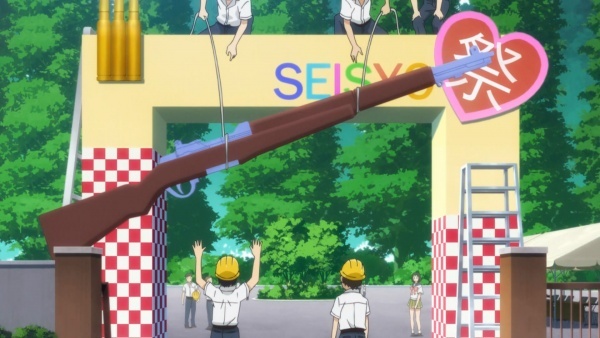 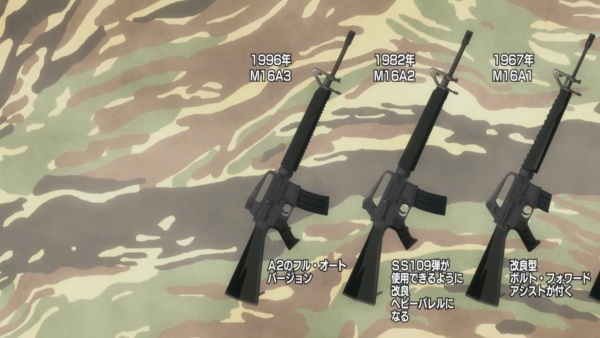 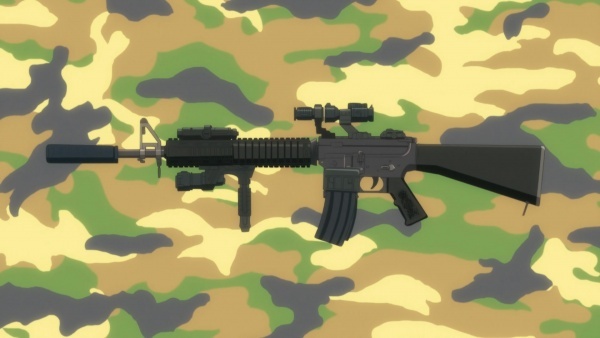 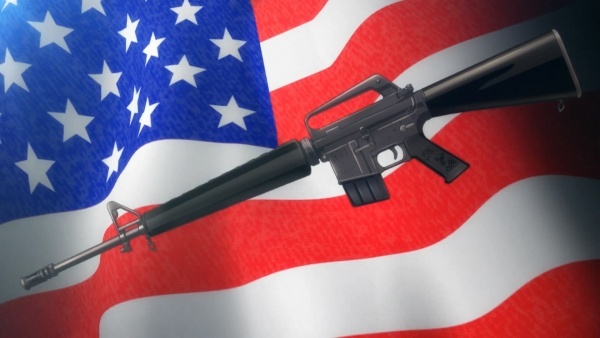 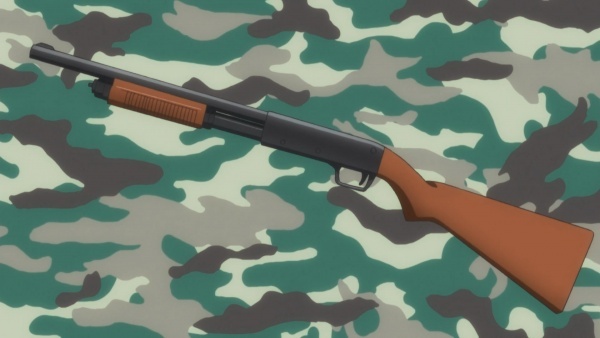 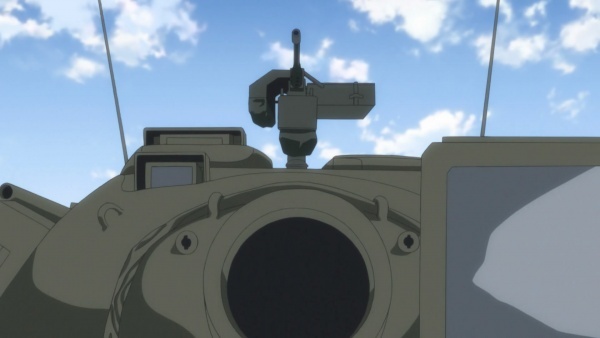 The scaling on the weapon is way off being far too large, meaning that in order for the soldier to be able to grip the weapon the pistol grip has been shrunk relative to the rest of the rifle. 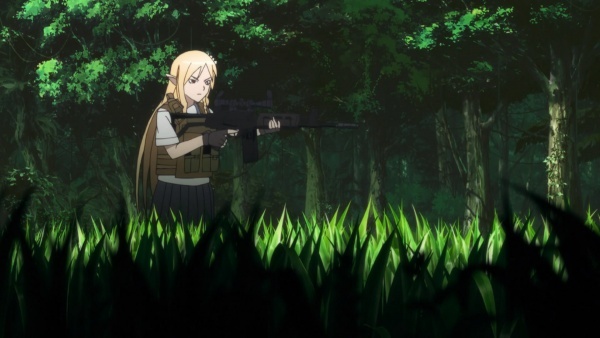 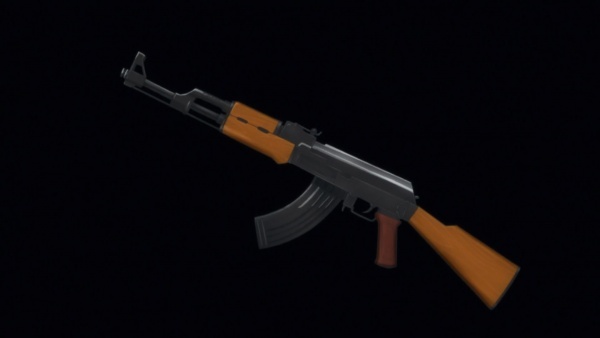 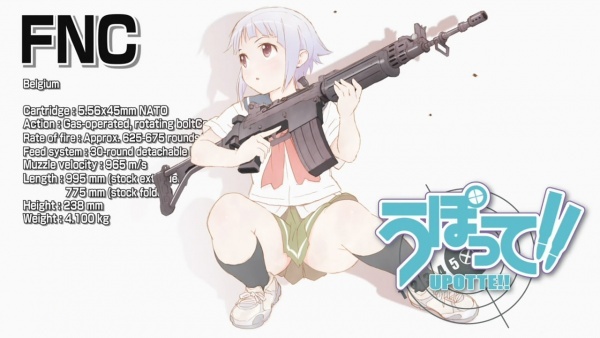 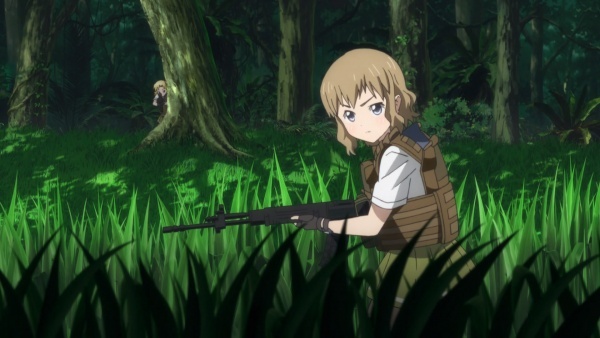 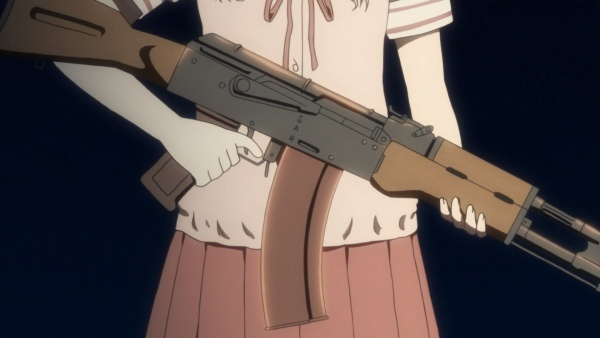 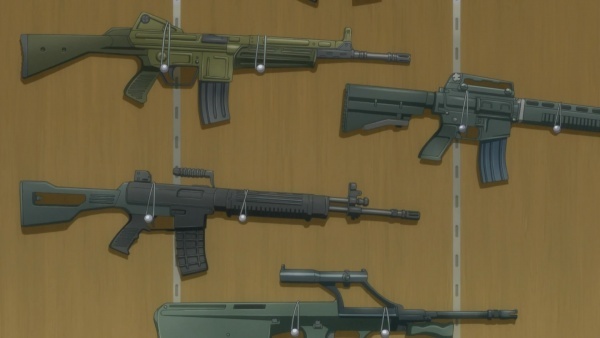 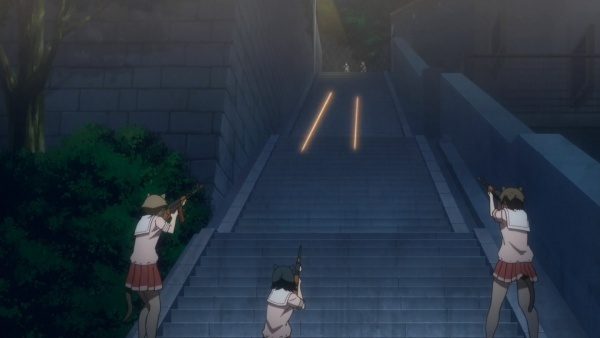 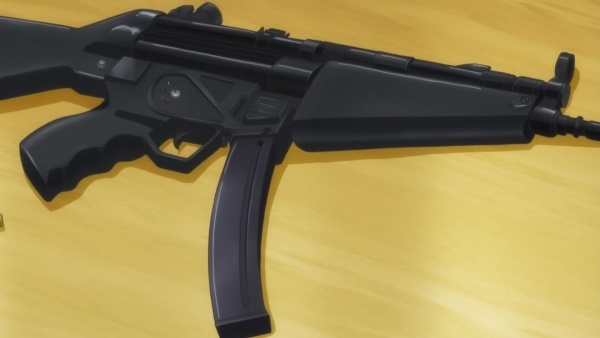 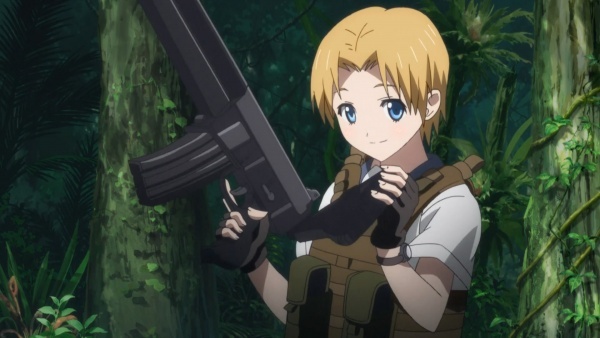 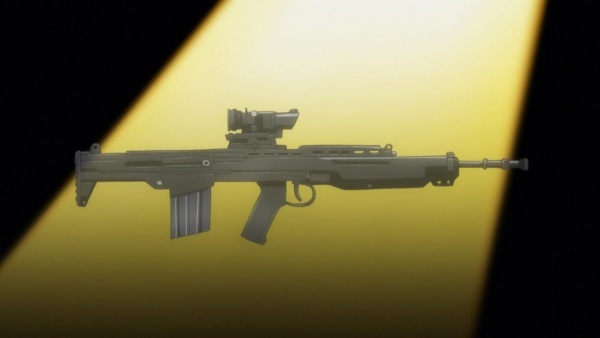 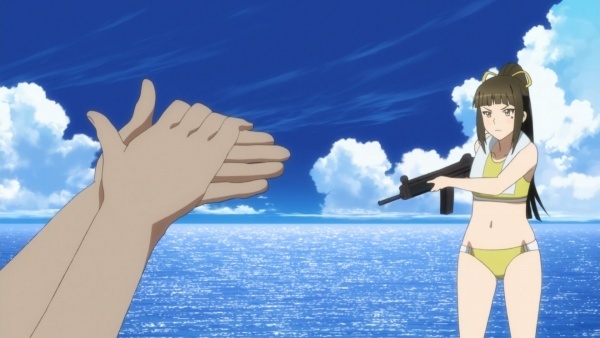 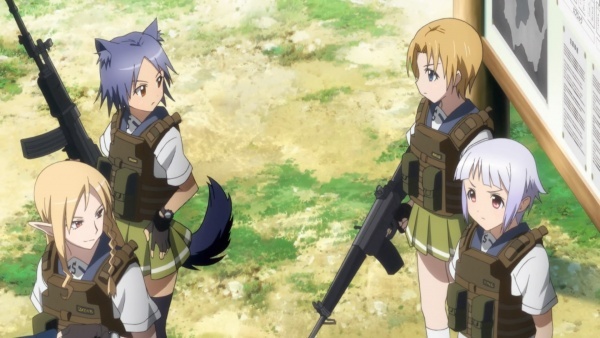 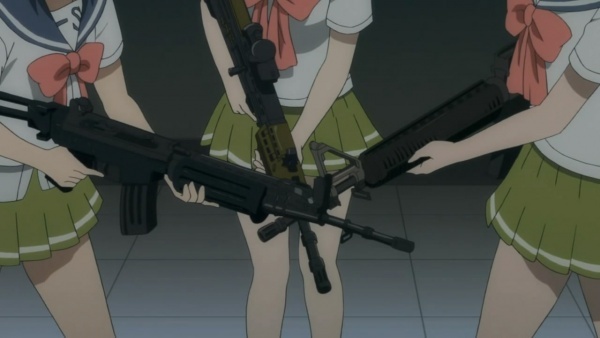 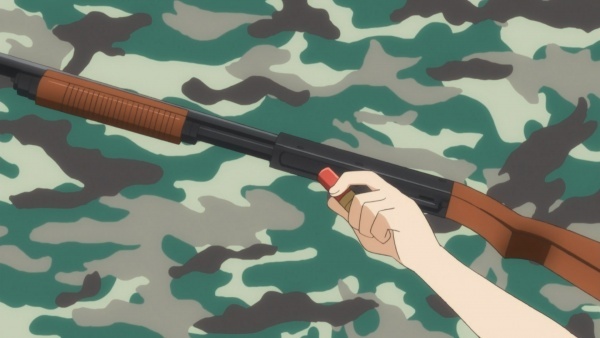 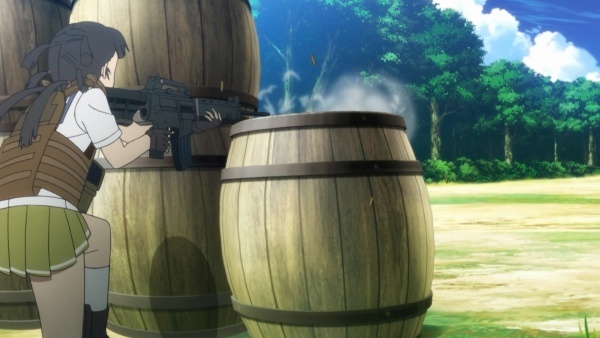 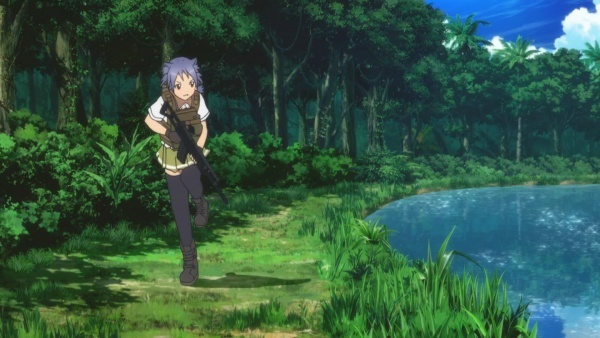 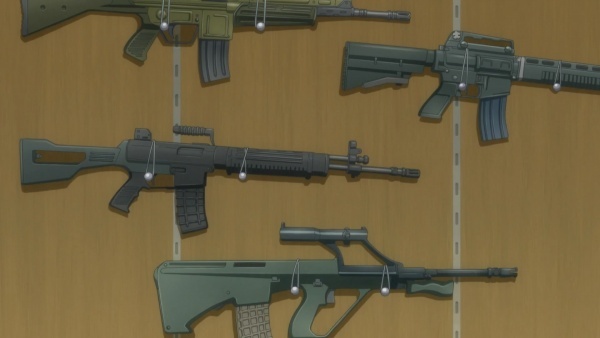 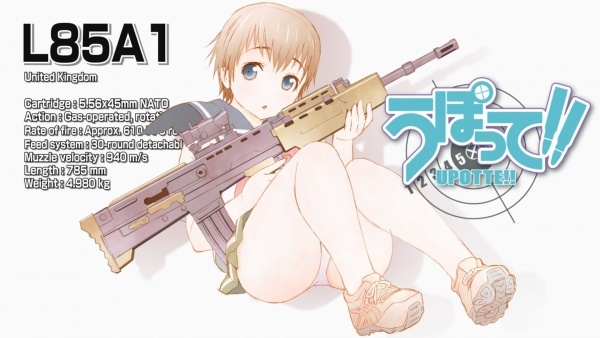 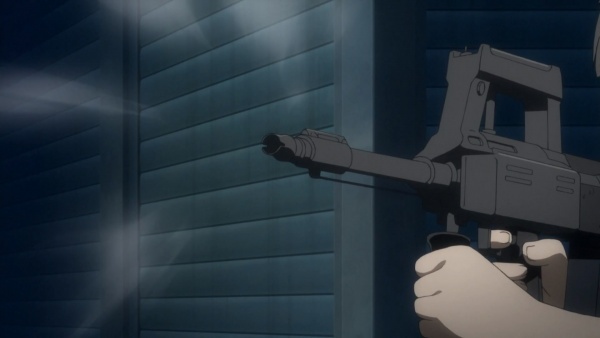 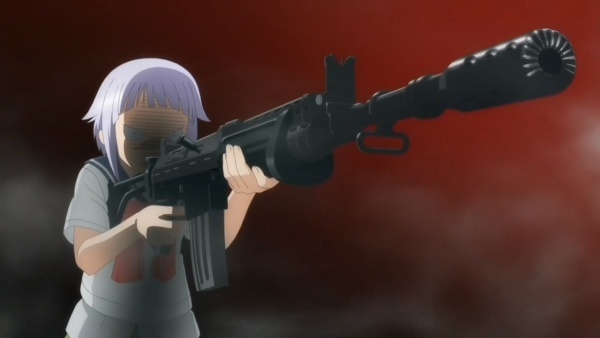 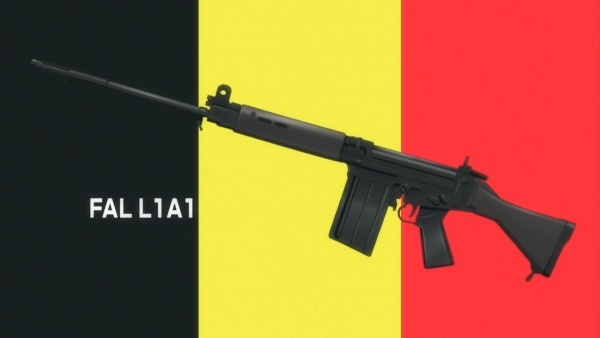 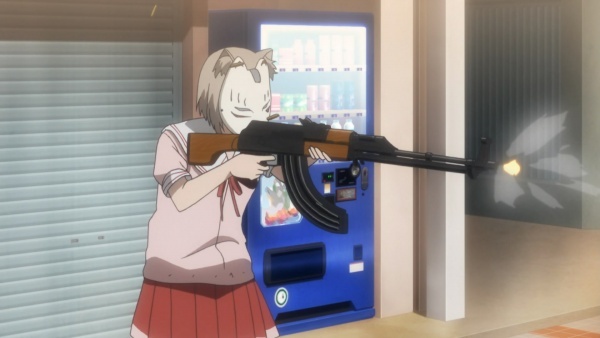 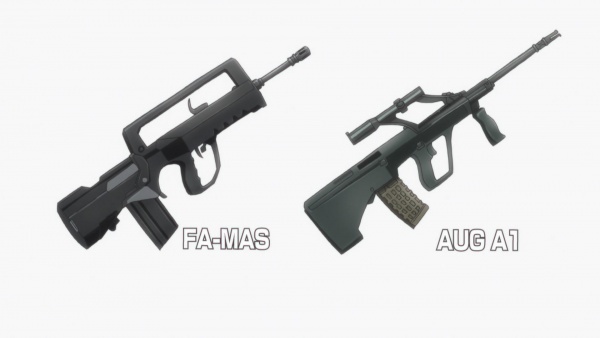 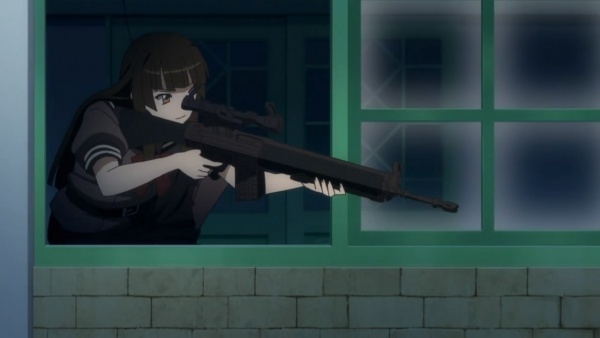 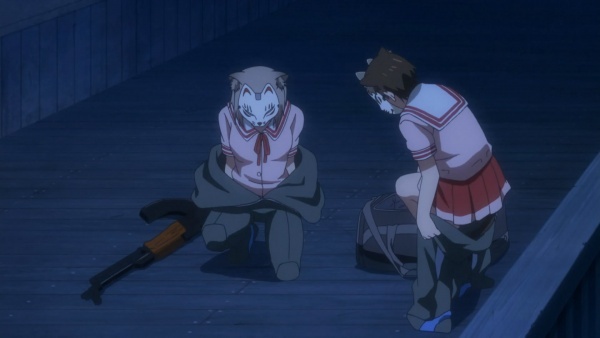 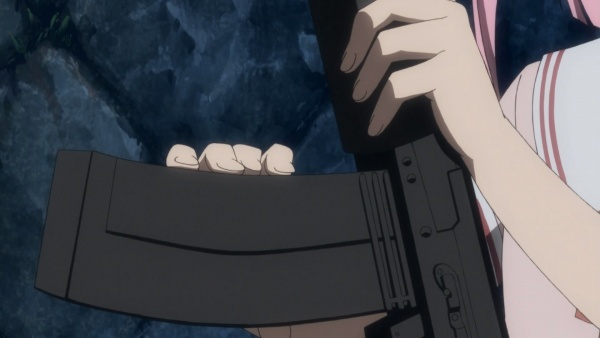 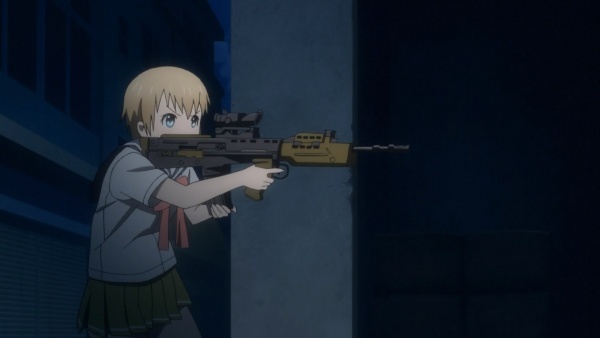 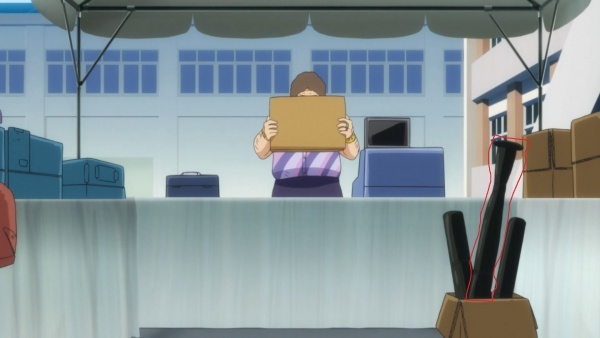 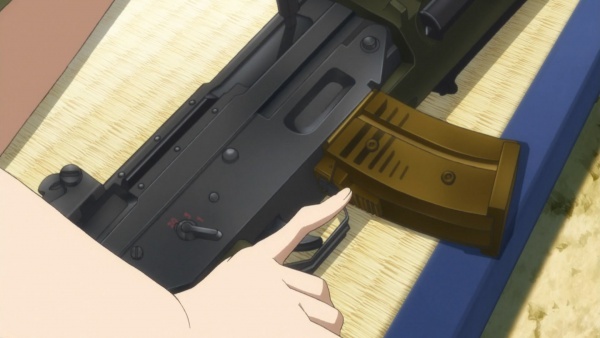 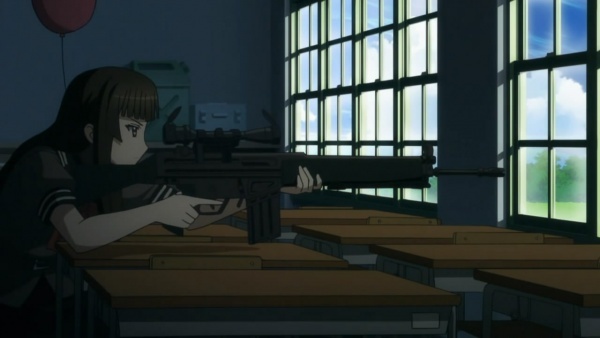 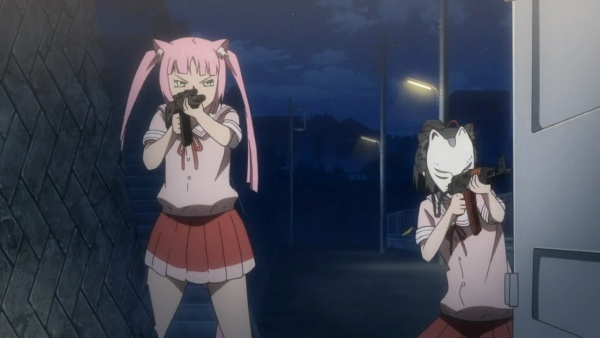 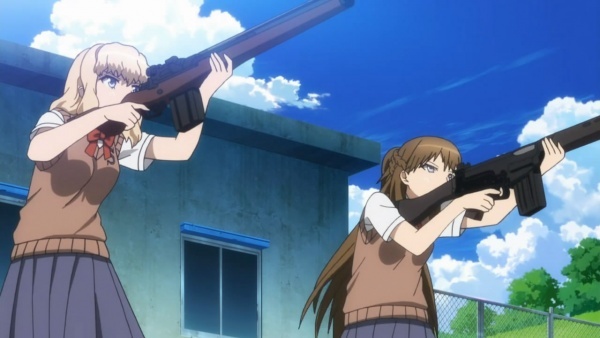 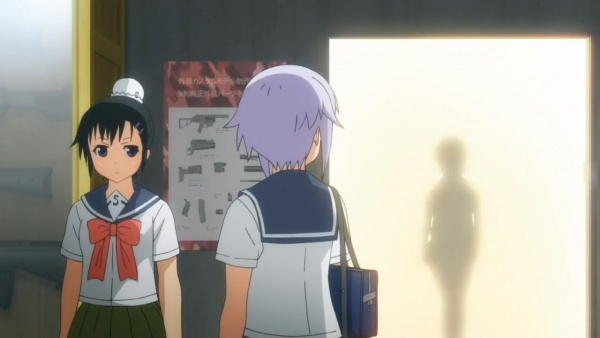 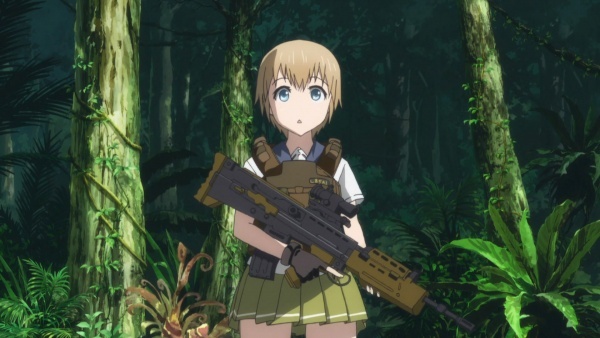 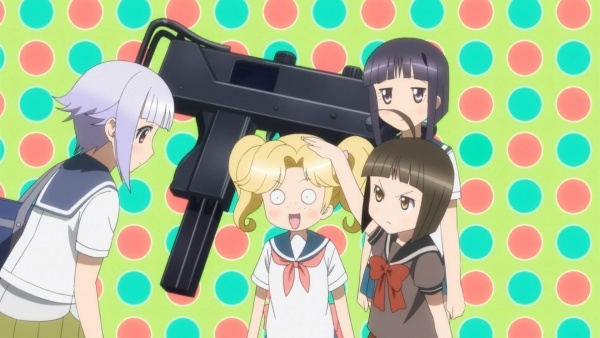 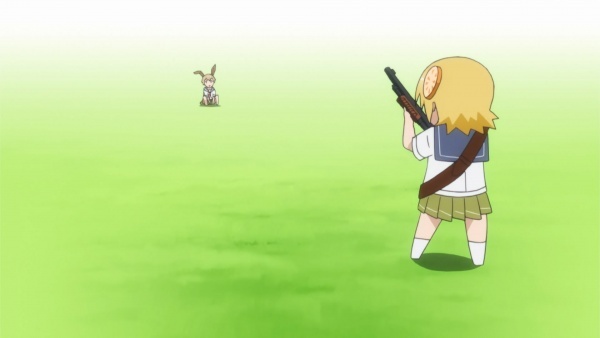 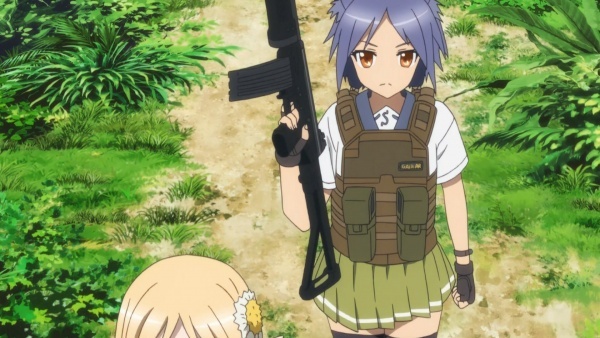 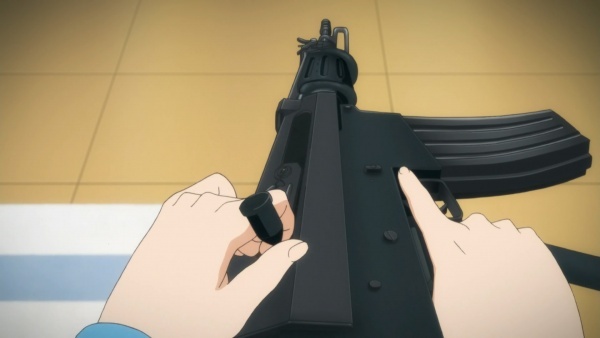 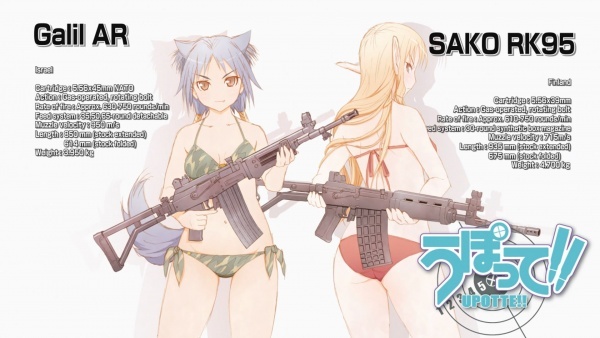 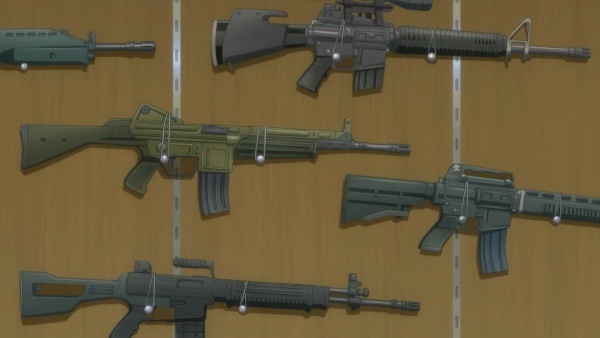 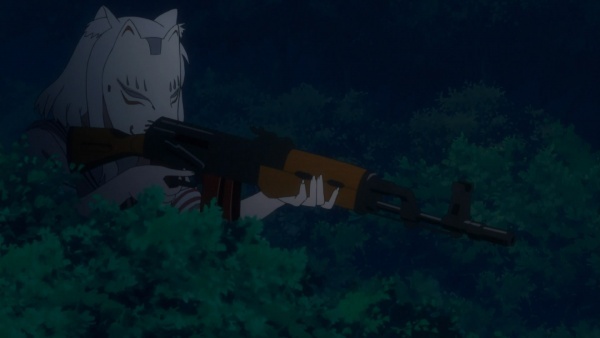 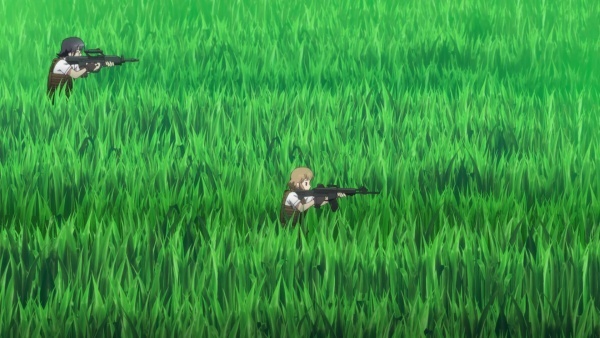 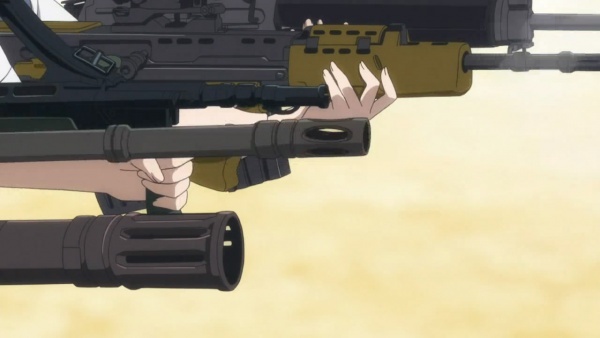 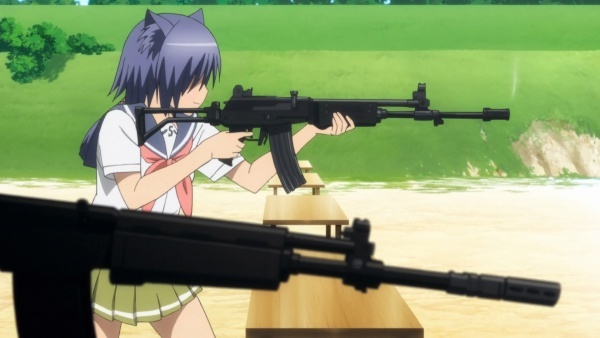 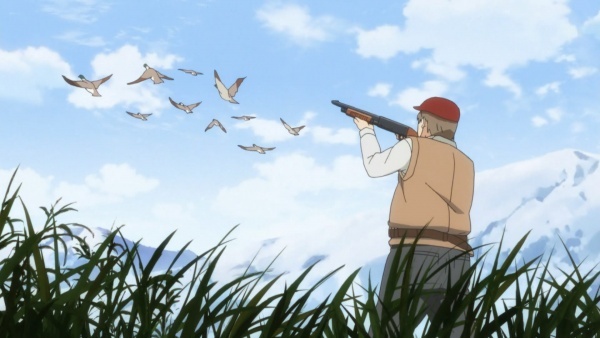 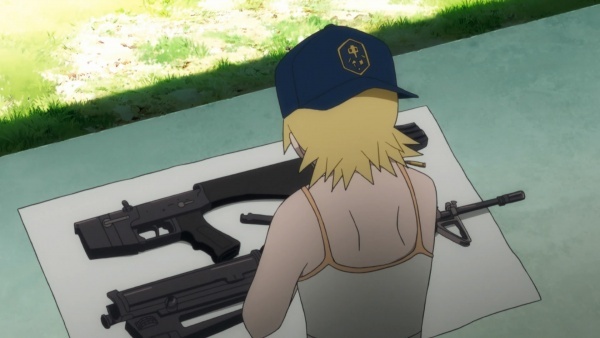 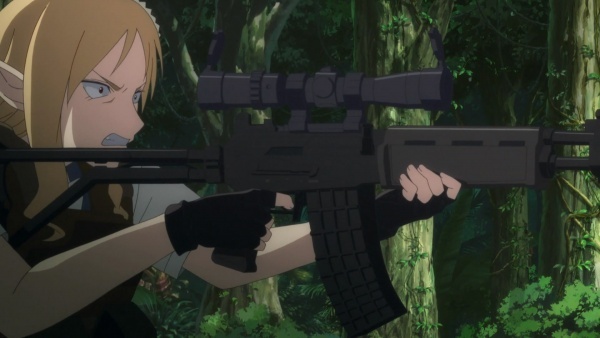 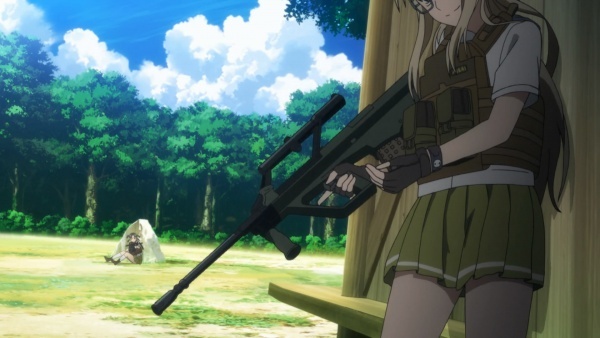 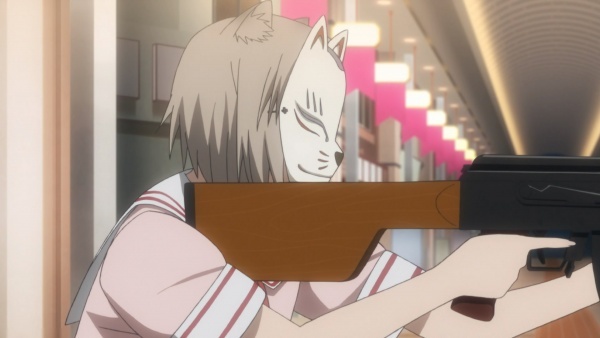 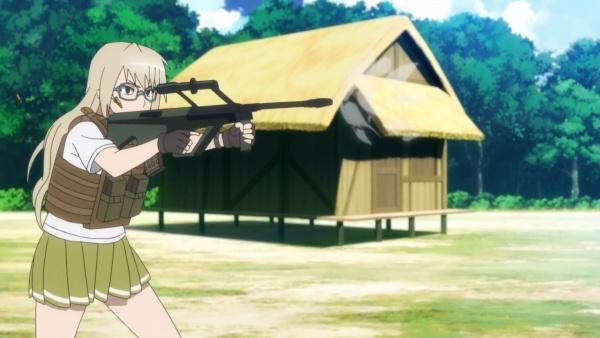 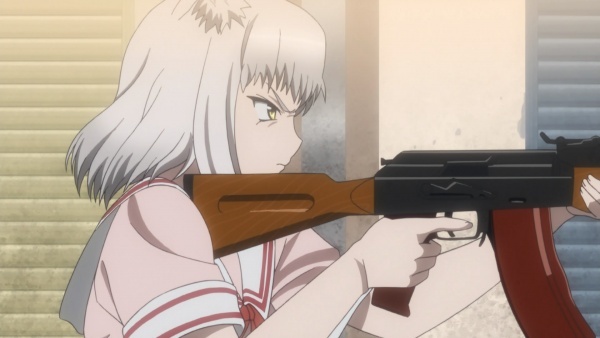 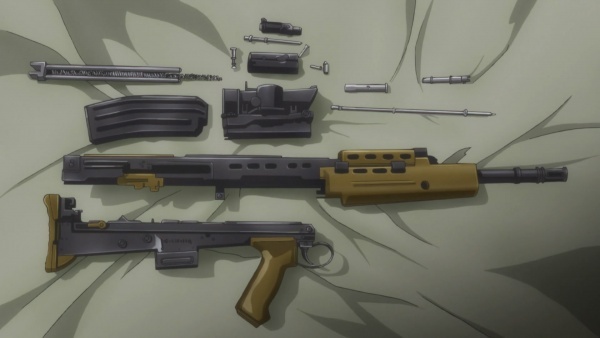 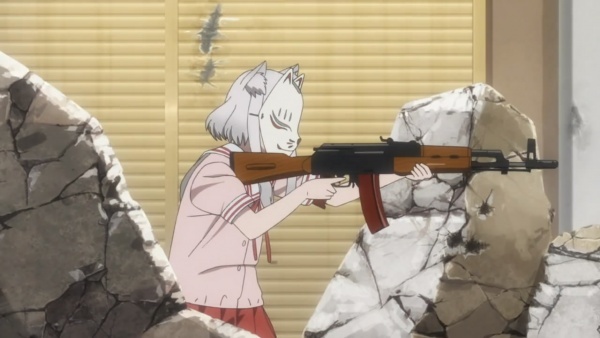 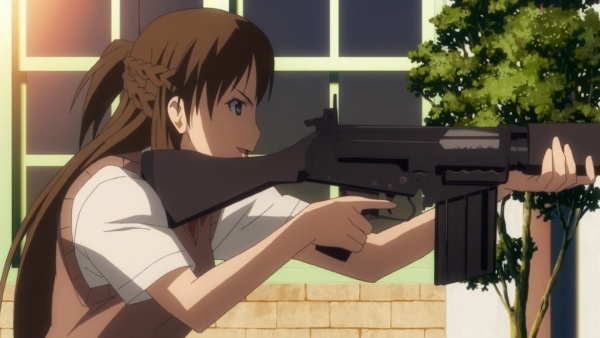 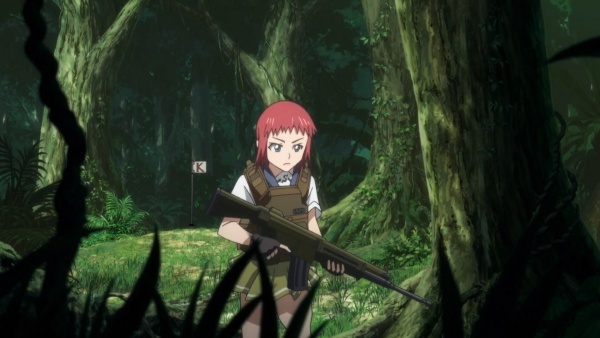 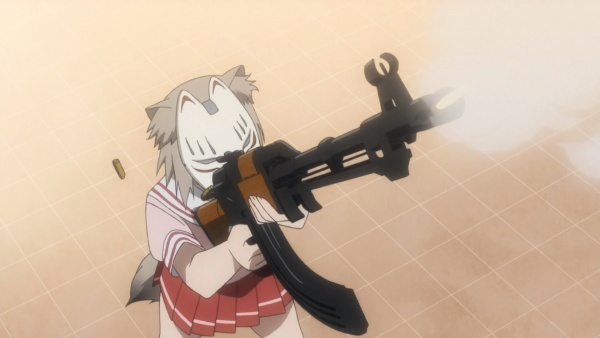 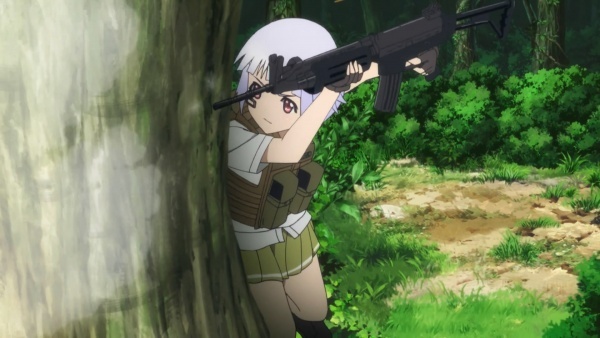 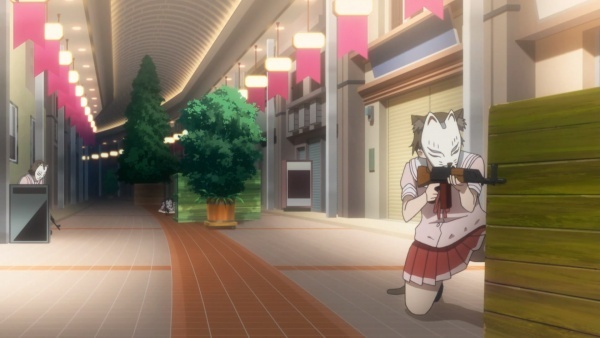 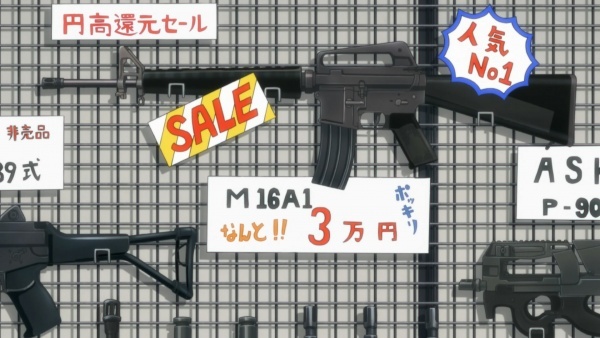 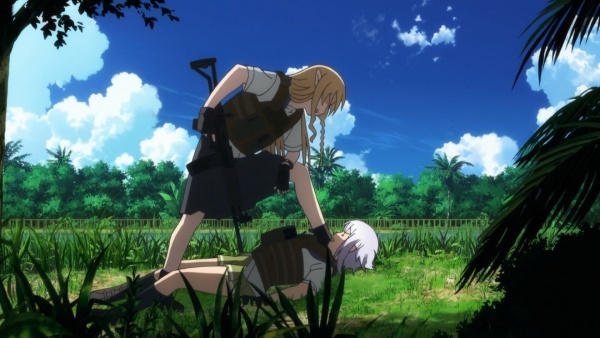 An IZHMASK Saiga 12K is seen in "And then! 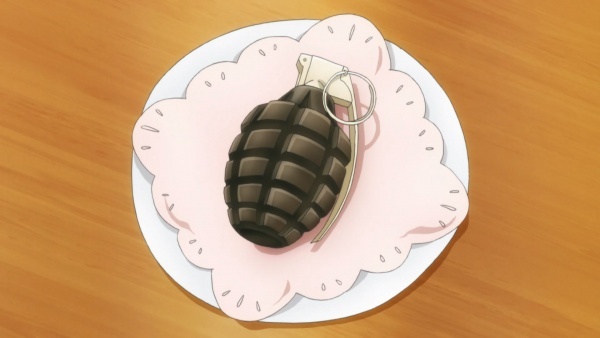 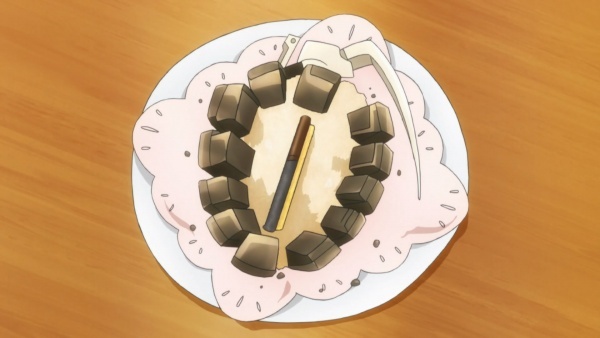 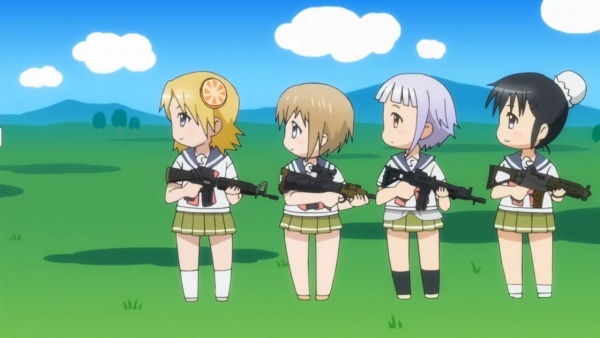 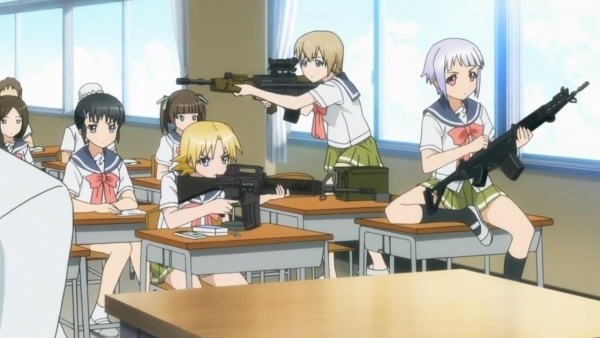 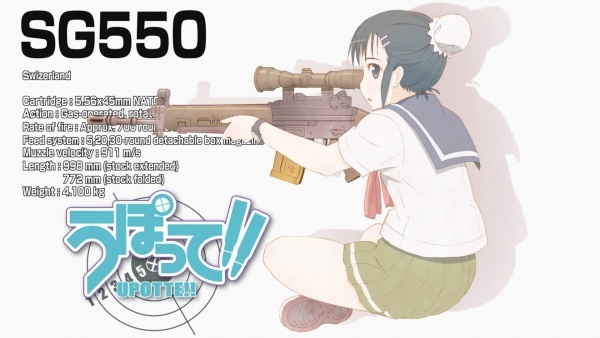 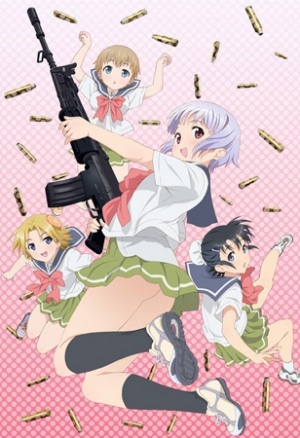 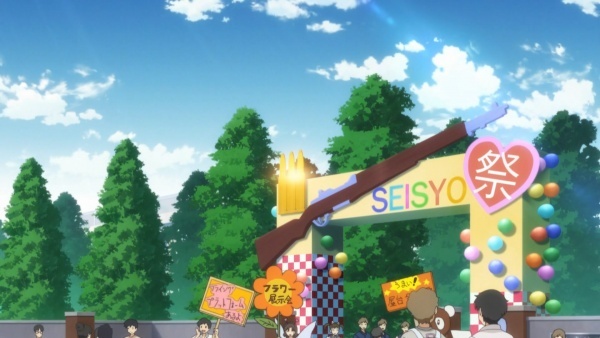 Upotte!" 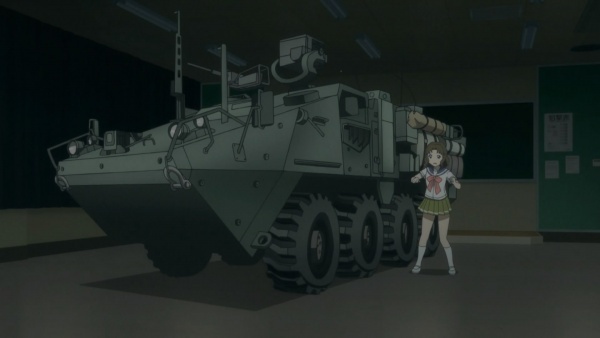 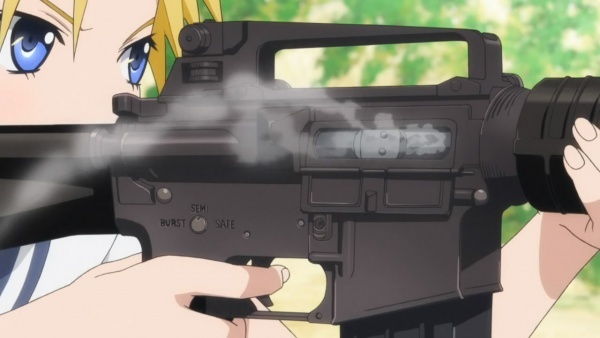 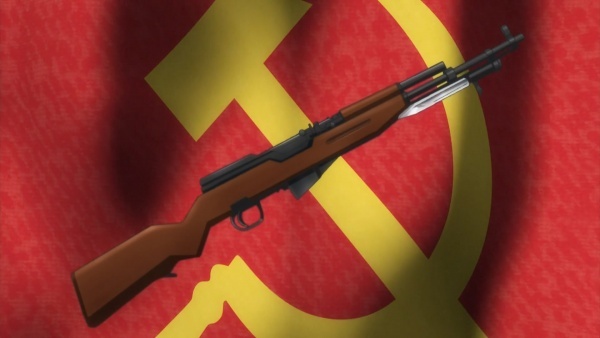 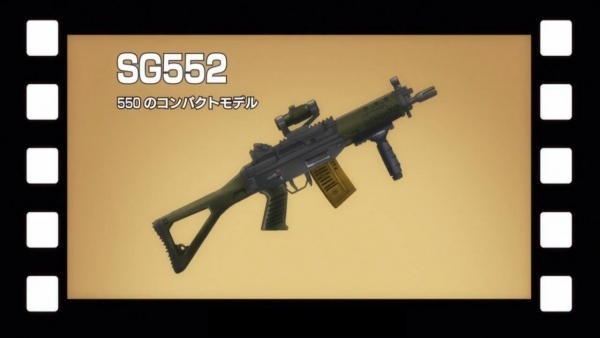 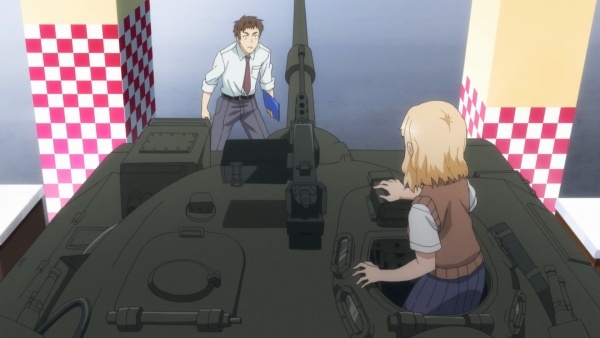 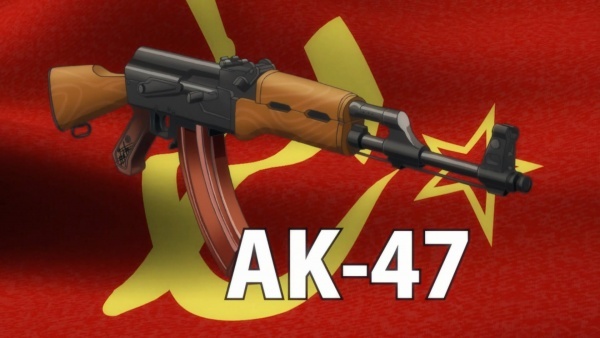 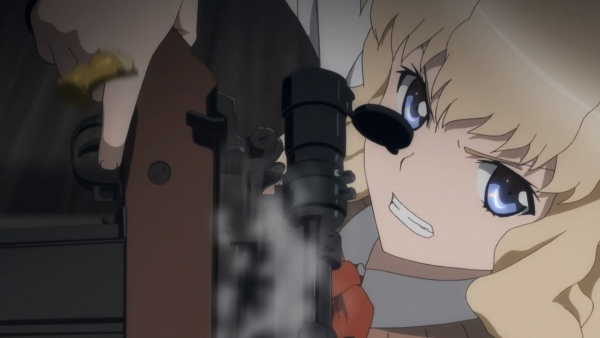 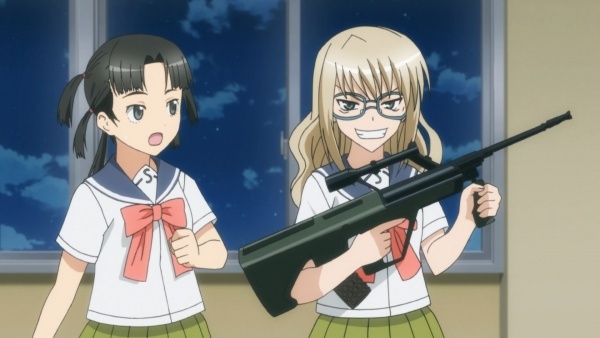 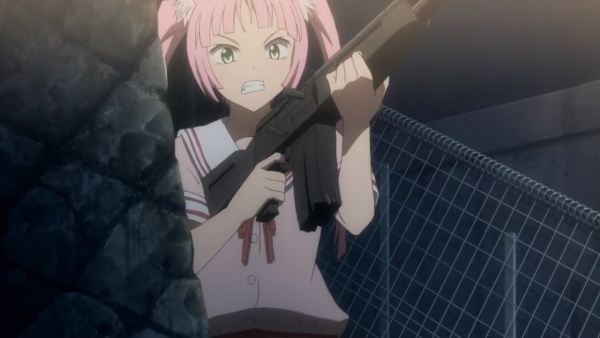 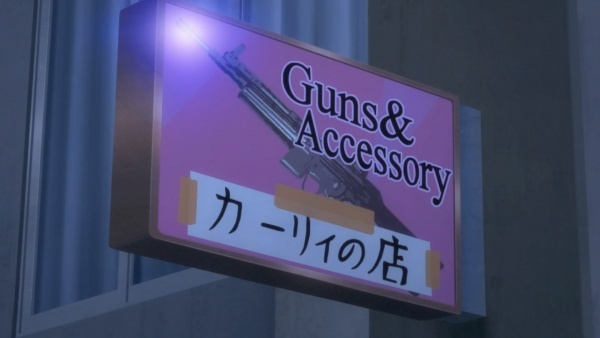 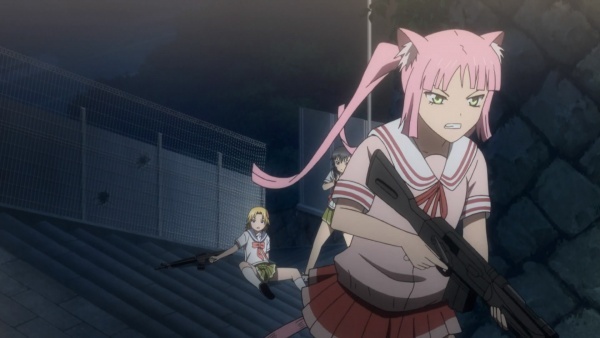 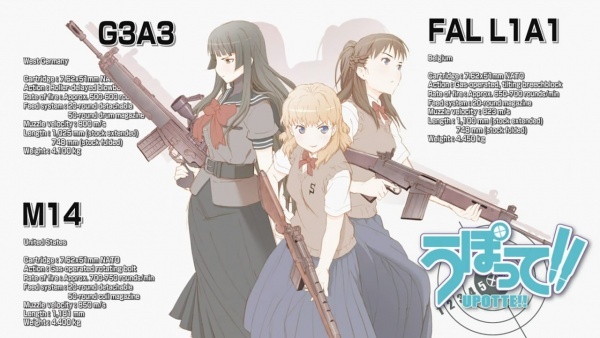 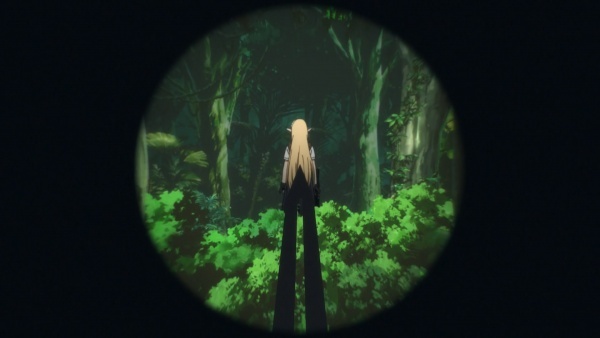 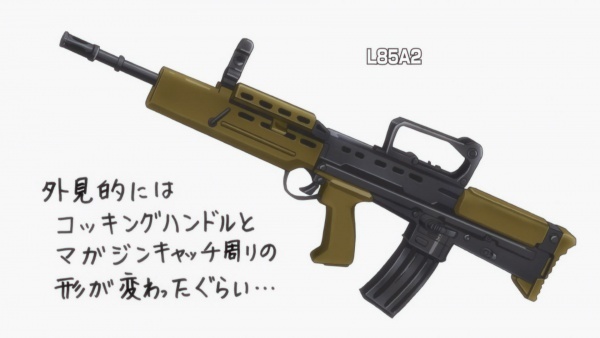 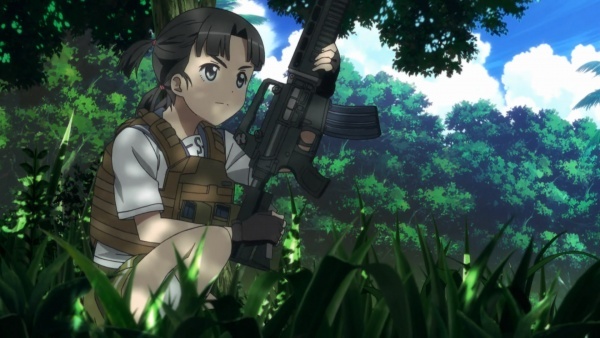 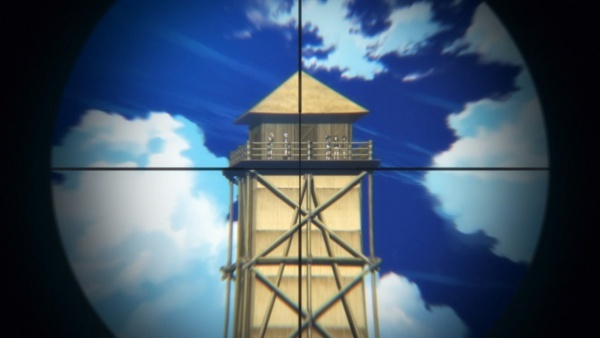 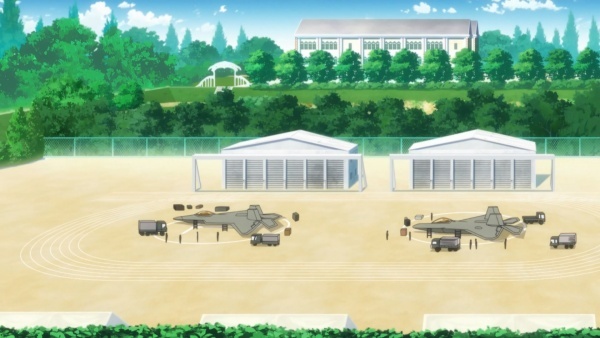 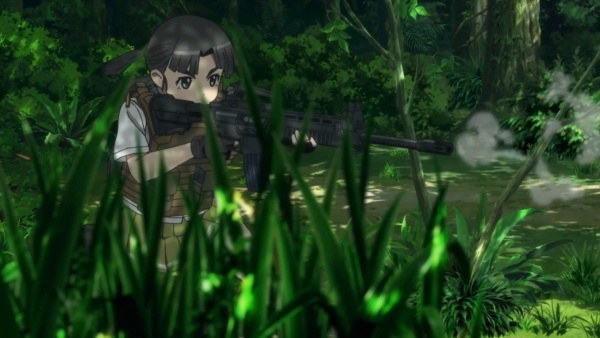 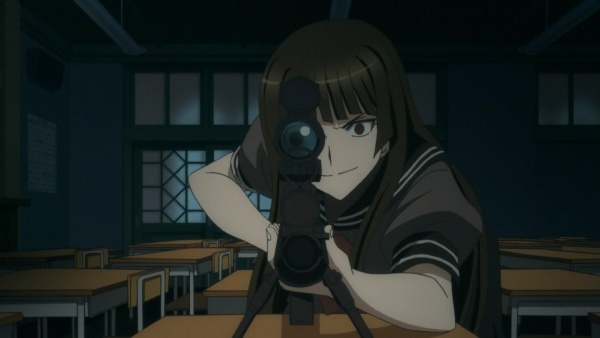 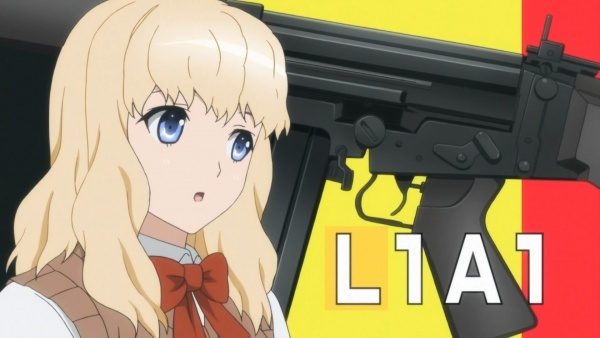 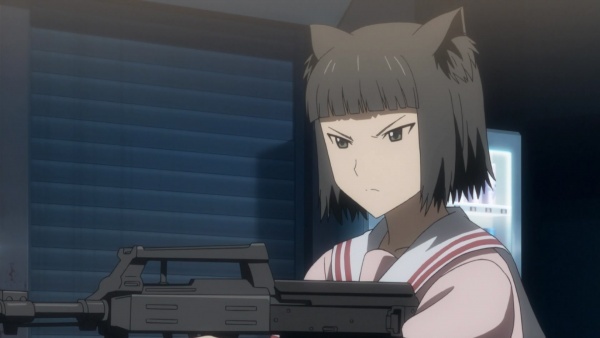 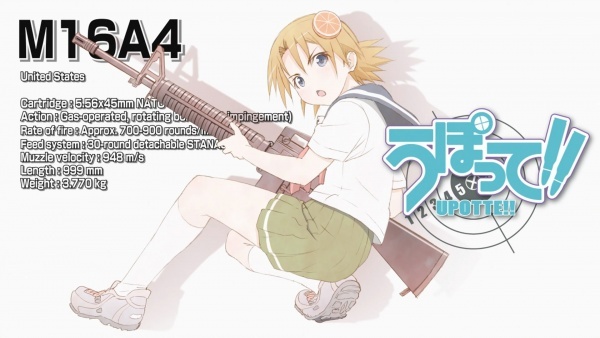 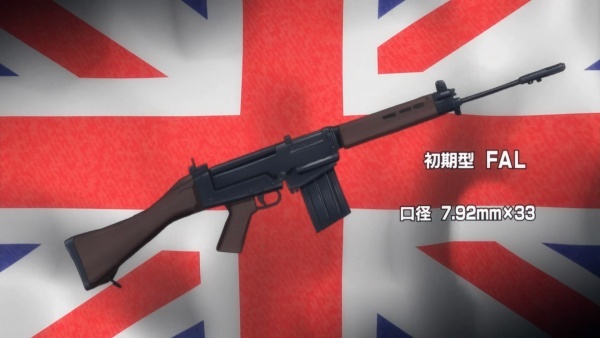 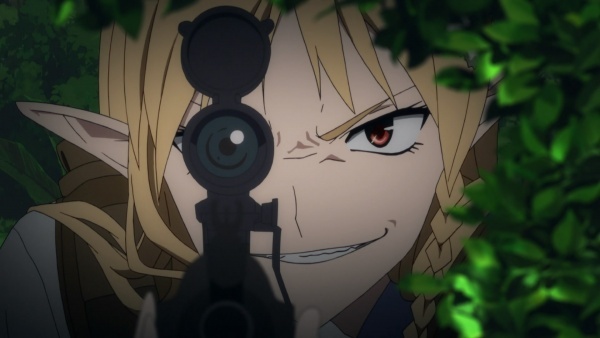 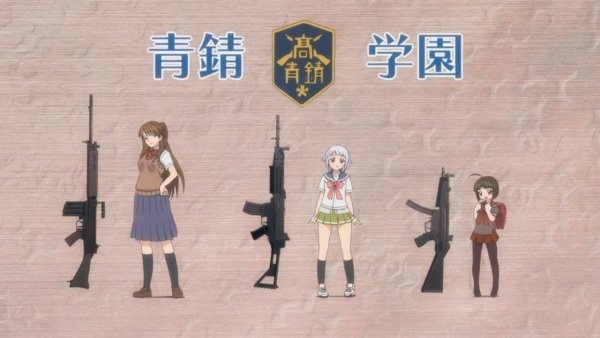 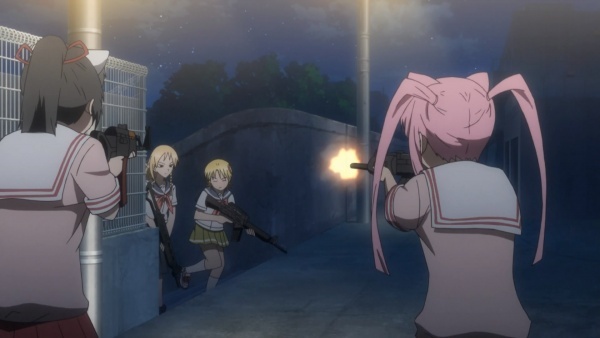 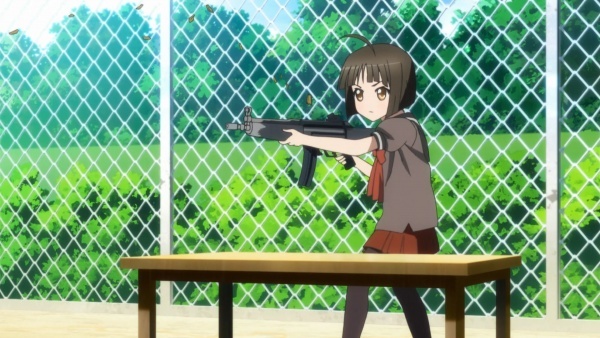 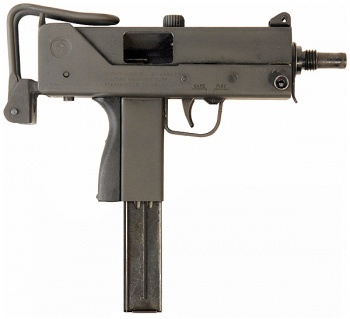 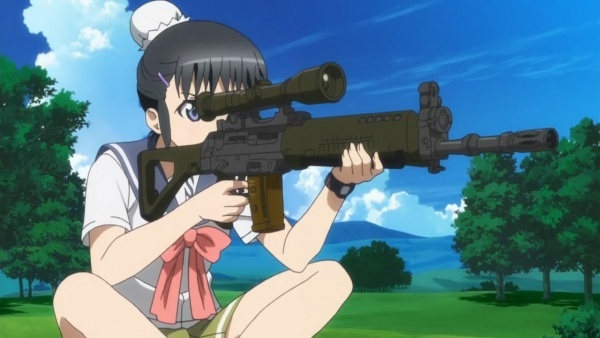 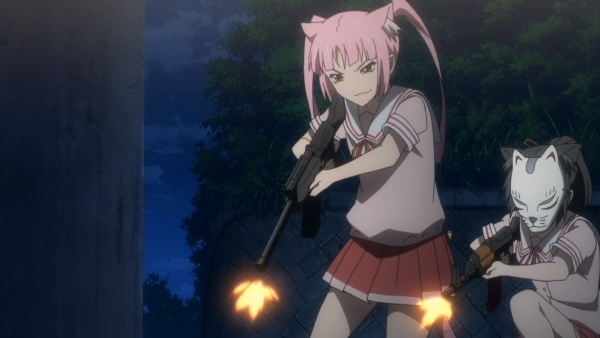 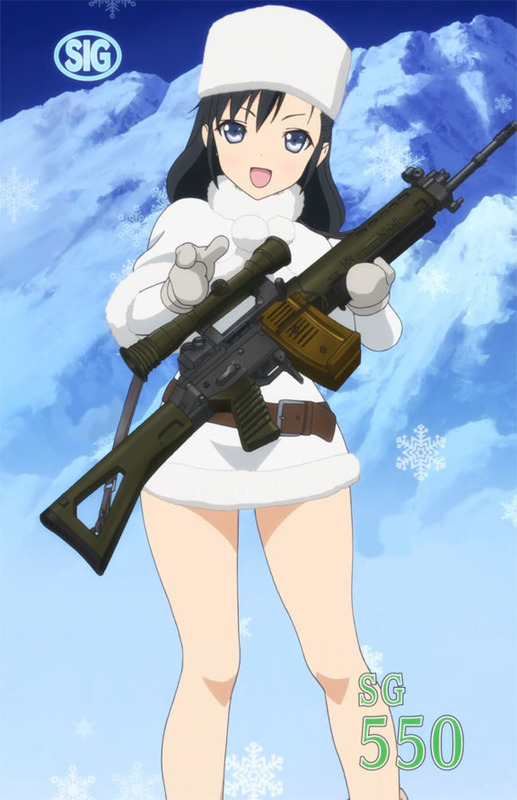 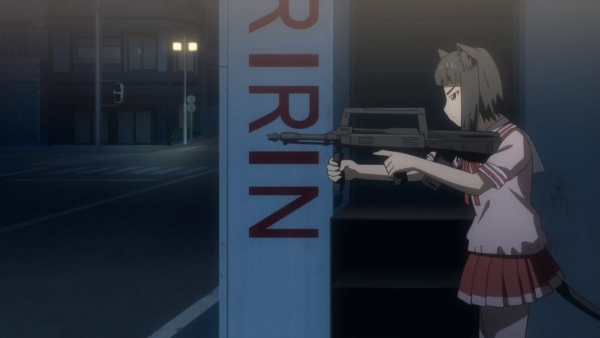 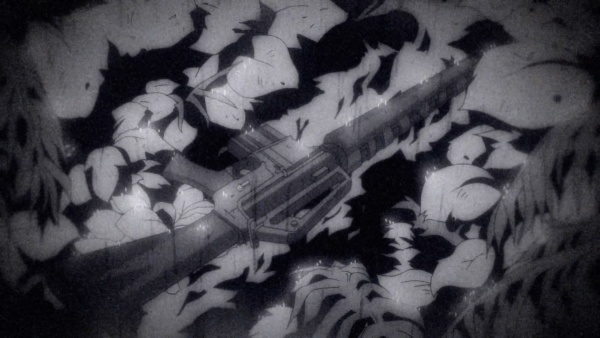 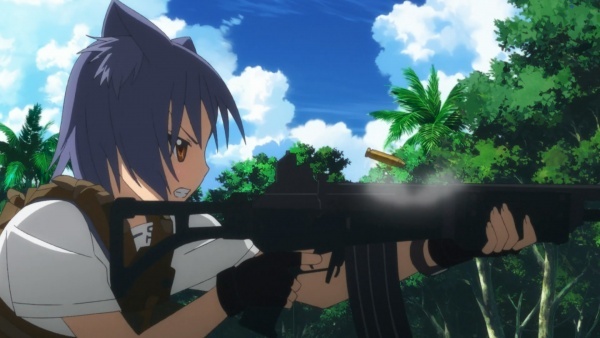 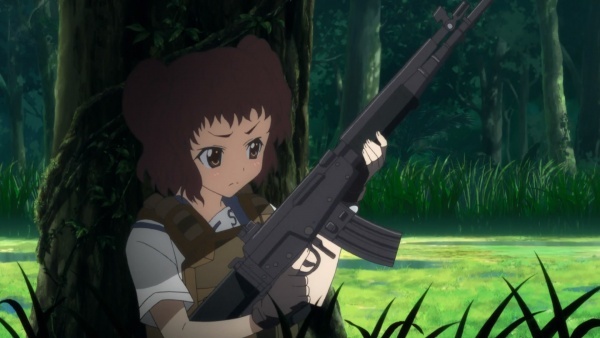 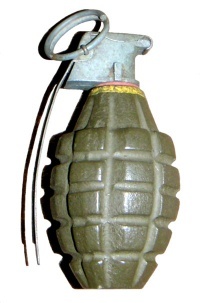 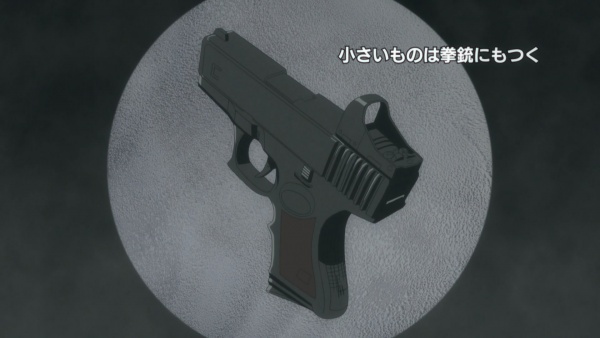 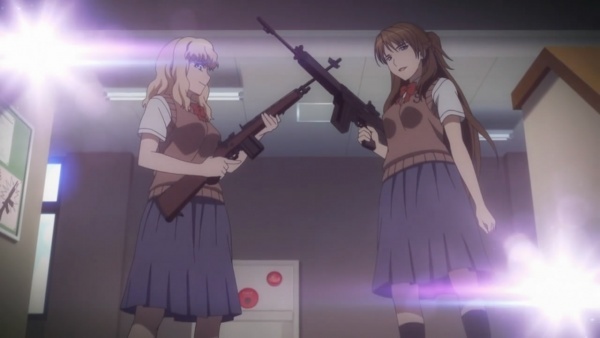 as the main weapon of Saiga when she fights on behalf of the Red Steel High faction.